We are not here for a long time, we are here for a good time. Welcome to Chapel Beach Club in Sea Bright, New Jersey. Chapel has a long history of providing its members with a safe, clean, and enjoyable summer on the Jersey Shore. A quick stroll through our lobby reacquaints members with memories of past summers, including our robust rebuild after Hurricane Sandy, while a step outside onto our dining deck and pristine beachfront promises enjoyable summer months during which beachgoers can create new memories. 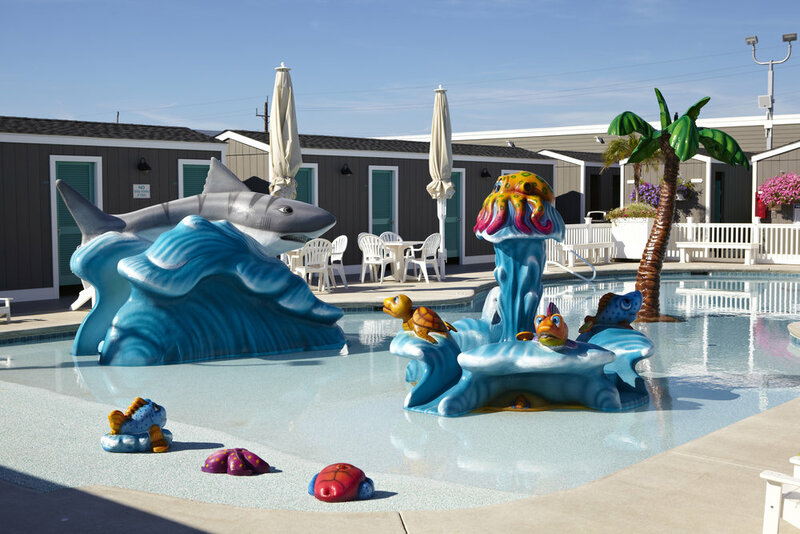 Our facility includes a bathing pool, a state of the art kiddie pool, lockers, grottos, pool-side and beach-front cabanas, and a snack bar catered by Side Dish @ Chapel. Our snack bar also offers weekly pre-fix dinners including a variety of appetizers, entrees (the Lobster Roll is a perennial favorite), and desserts. We also offer a competitive swim team, individualized swim lessons, movie nights, an annual sleepover, our famous BINGO, as well as our newly installed Adult Party where adults can dance the night away under the stars and next to the sea. But before you get lost in the aura of an amazing beach experience, don’t forget that there are a few important rules that must be adhered to, lest anarchy reign! Escape, relax, and enjoy the activities that only a seashore experience can provide.